A feeling of expectation and desire for a particular thing to happen. Grounds for believing that something good may happen. Today, it's hard to keep hope. News reports constantly bombard us with bad news and reasons to give up hope. This Easter, we wonder if the disciples felt a similar desolation while seeing Jesus on the cross. His claims of being God didn't seem to be real while he hung there, bleeding and dying like any other man would. But Jesus's teachings and life pointed to an undying hope - one that we today can claim! Jesus gathered His followers into a private room and shared a meal together. This was a final preparation, one last moment with the people who had been with Him since the start of His public ministry before starting His journey to the cross. We will be observing this through an evening of creative prayer. 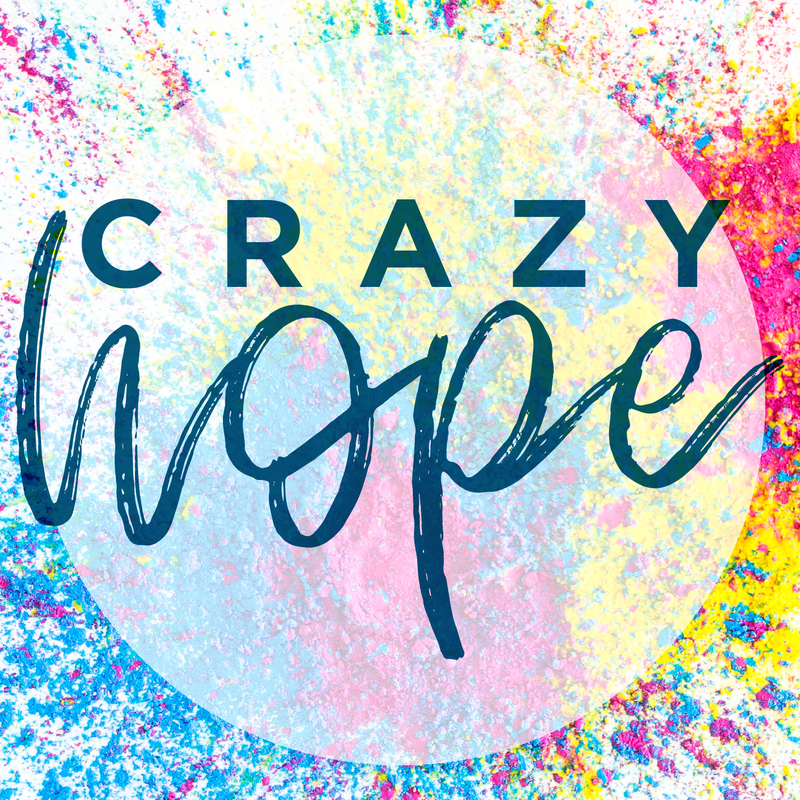 Crazy Hope could be described as the expectancy of someone dead to come back to life. The disciples must have experienced such a mix of emotions while watching their friend and leader suffer the worst death imaginable. There can be no Sunday celebration without the sombre happenings of Friday, so we invite you to observe Good Friday with us. Interested in coming? Let us know by responding to our Facebook event. Easter tends to get people a bit introspective - and that's a good thing. Our focus, though, is how Christ's death and resurrection wasn't just amazing news for the people that knew Him, nor for the Israelite nation but for everybody throughout all time. In honour of that, we're planning a free 5 kilometre, family-friendly run, during the course of which we will be spreading the hope that Easter gives us all. Interested in finding out more? Check out the Facebook event. Our country desperately needs more blood in the blood banks. We love hosting a donor clinic over Easter weekend since it helps us think deeper about Jesus's sacrifice - your one pint of blood can save a number of lives. In the same way, Jesus shed His blood to save all of us. We'd love to have you celebrate Easter by donating blood. Side note: you can still donate after running 5 kilometres, we checked with the experts. It's safe to say the disciples had a bit of a rough weekend. The ladies went to prepare Jesus for a proper burial, but He was not in the tomb! From feeling so down and preparing for a funeral to speaking to and seeing their loved one again - their hope was renewed! How great the celebration must have been when they realised that their hopes had not died, but instead were placed in Someone who death could not hold. We look forward to joining that celebration, and hope to have you join us. We extend a warm invitation to the deaf community to join us at the 08:45 service, where the sermon will be signed and all media will have closed captioning. Are you in? Let us know by responding to the Facebook event. We hope you have a deep and meaningful Easter, celebrating the Crazy Hope that Jesus brought.